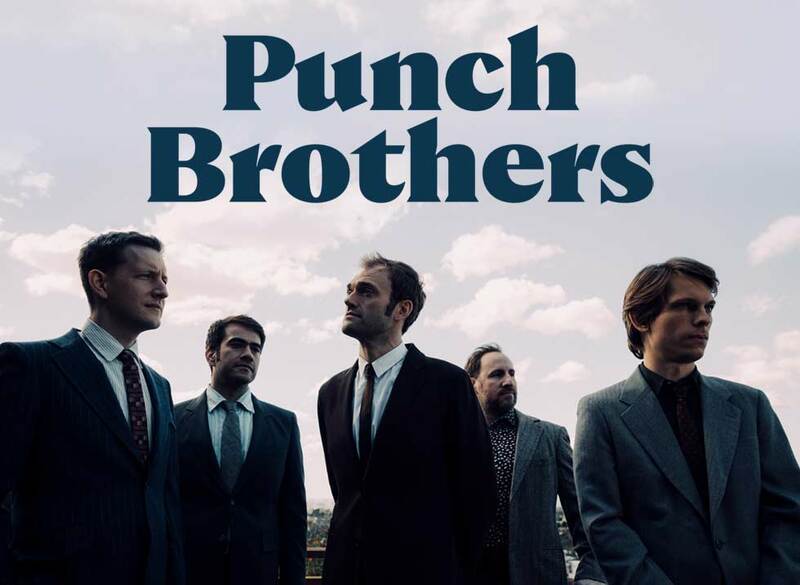 Punch Brothers are thrilled to announce that for the first time they will be offering exclusive Punch Brothers’ Big Time Friend Packages. When you purchase either the Oh Boy! or the Ahoy! Big Time Friend Package, you’ll get tickets to some of the best seats in the house, a special pre-show performance and a Q&A session with the band. If this sounds like it will be draining for you, consider ponying up and becoming an Ahoy! Big Time Friend, because you’ll get two bags of their brand new Ahoy! custom coffee, made in collaboration with their friends at Madcap Coffee. Both Oh Boy! and Ahoy! 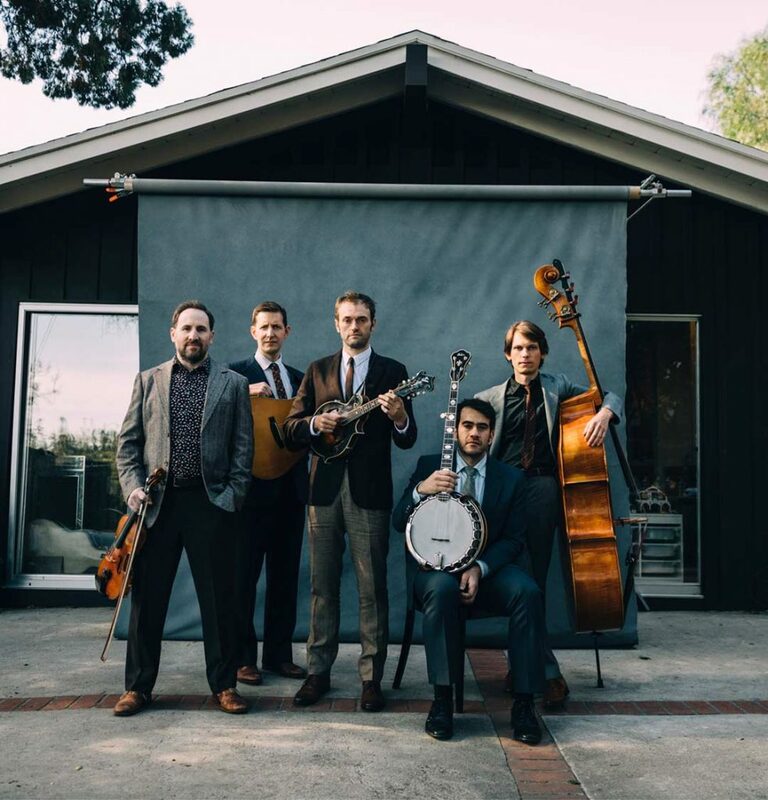 Big Time Friends will leave with a signed tour poster, and most importantly a Punch Brothers’ Big Time Friend enamel pin, which will broadcast to the world, that when you had to choose between buying normal concert tickets and doing something more, you chose more. Two (2) 12 oz. 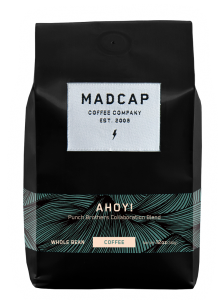 bags of Ahoy!, a coffee blend from Madcap Coffee specially roasted in collaboration with Punch Brothers, and shipped directly to you from the roaster, after the show. Package elements and pricing may vary by venue. Please click your city for details. A: Most shows are open to guests of all ages. However, the age policy varies with each venue. You can typically find the age policy via the “more information” button on the ticketing page, but if it is not there, you may also refer to the venue’s website for details regarding your specific event. Of course, any cash bar is to be for patrons who are 21 years or older. Q: Can I acquire Accessible Seating as part of a Fan Experience program? A: Most venues offer accessible seating areas to accommodate their guests. Availability and type of accessible seating tickets will vary based on each venue’s policies and/or the type of event taking place. 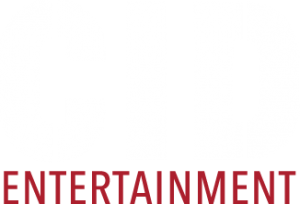 If you would like to inquire about Accessible Seating as part of a Fan Experience program, please reach out to us at guestservices@cidentertainment.com or 888-805-8930. We will go over any available options. A: During the purchase process, you may have the option of choose to have your tickets shipped to you, printed at home, held at will call or available on your mobile phone to show at the time of the event. Regardless of how your tickets are obtained, you will still need to check in with us at the event to ensure you get to take advantage of all the perks that come with your package! As it gets closer to the event, the ticket purchaser will receive an informational email including the exact time and location for the Experience Check-in. Please bring valid photo identification, and stay tuned for that email! Q: When can I check in as an Experience guest? A: While the exact time varies with each show, the Experience check-in will generally occur about 2 hours before the show starts. We will provide the specific times and check-in location for your show in our informational email approximately one week before the concert. Q: How and when will I receive my bags of Ahoy! Coffee? A: We will reach out to you with more information about redeeming your coffee prior to your show date! You will need to fill out the form that is sent to you requesting your address in order to receive the coffee. The coffee will then be shipped directly to the shipping address that is provided. A: Depending on the venue policies, you may have an opportunity to return to your car to store your Enhanced Experience merchandise prior to entering the show for the evening as long as your ticket is not scanned into the venue. This will be dependent on each venue’s specific policies. Please talk to our check-in staff on the day of the show for more information! A: The pre-show performance will take place during the ‘Punch Session’ pre-show party, usually about 1-2 hours prior to the general door time (varies by show date). More specific times and location for the pre-show party will be announced in the informational email we will send to you about a week before the event. Performance times are subject to change based on the artist’s schedule, but will take place during the scheduled party time. Q: Can I upgrade to a Fan Experience package if I already purchased a regular ticket? A: Our ability to upgrade depends on a few different factors – availability, the venue, and date of contact – but please reach out to our guest services department at 888-805-8930 to inquire about any upgrade availability, and we’d be happy to discuss your options with you. A: The on-site host is basically an extension of our Guest Services team present at the event itself. He/she will be available for any questions or concerns that may arise during the Fan Experience program. A: The original purchaser will check in for all package materials, and he/she will then be able to distribute accordingly. Thus, we advise for your whole party to come to the Fan Experience Check-in at the same time to make it quick and easy.